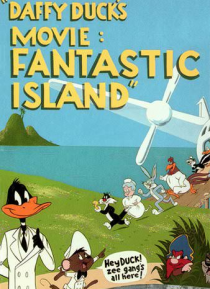 Daffy Duck returns to center stage as the star of his own movie in this animated spoof of television's "Fantasy Island." While shipwrecked on a desert isle, Daffy and his miniature sidekick, Speedy Gonzalez, discover Yosemite Sam's hidden wishing well that transforms the island into a paradise for fantasy. Welcome visitors have their fantasies come true via scenes from classic cartoons. But there'… s trouble in paradise when Yosemite Sam and the Tasmanian Devil scheme to reclaim the well.